HETS Appoints Coordinator of Student Support Services. For 23 years of service, HETS has been promoting its services to enhance student’s success and opportunities in Higher Education. To complement and strengthen this efforts, HETS hired Ms. Karen Rivera Díaz as Coordinator of Student Support Services on January, 2016, based on her experience and expertise. We feel incredibly privileged to welcome Karen to our family! For 12 years Ms. Rivera Díaz held positions related to the area of student services in higher education institutions. She was mentor of the Universidad del Este (Carolina) student council for three years. She has also has been speaker on subjects related to student leadership and has led restructuring processes of student services at the institutions she has worked. 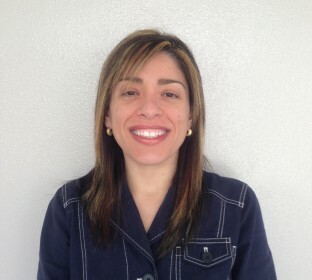 Karen has a Business Administration master’s degree from the Polytechnic University of Puerto Rico and is currently in the process of doctoral dissertation, in the area of human resources, at the Interamerican University of Puerto Rico. Among Ms. Rivera’s tasks, we can highlight the promotion of HETS student services available at its Virtual Plaza, and identify new services aimed to enrich the Student Placita area. Ms. Rivera will be working with the HETS staff and Student Advisory Committee to develop new initiatives for the benefit of the student community at our member institutions. In addition, she already started to contact our members in Puerto Rico to schedule tailored presentations and hands on training depending of the needs and requests of each institution. Should you want to coordinate a visit to your campus and take advantage of this opportunity, please contact Ms. Rivera via email: consultant@hets.org or directly to the HETS office at 787-250-1912 extensions 2372 or 2373. We hope to continue offering you quality services and continue moving forward to the accomplishment of our mission.